When he’s not engaging fans over Reddit, expressing his honest opinions on Twitter or playing Rocket League on his Twitch channel, Joel Zimmerman is hard at work producing some of the best material electronic music has to offer. With images of his home studio leaked last year, a complete tour has been requested by fans and Joel has delivered. 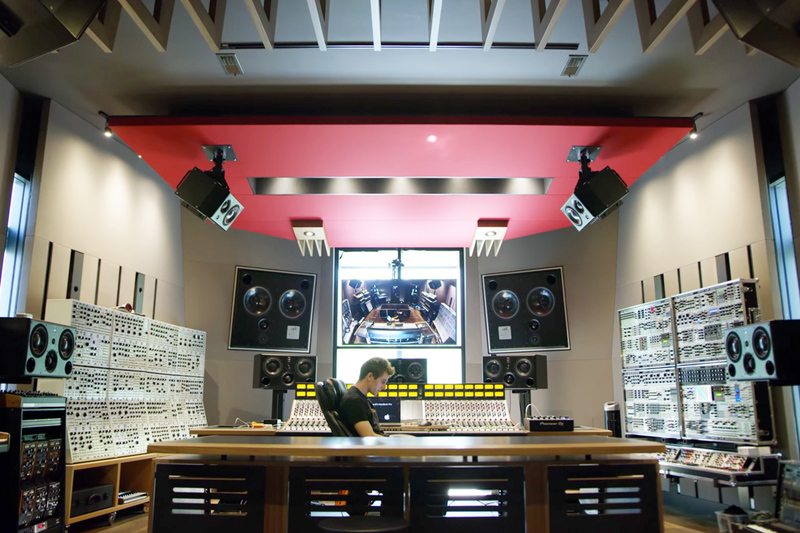 Deadmau5 has given the guys at Linus Tech Tips an exclusive look into his home studio in Toronto, with a special cameo by Deadmau5 himself. Some of these state of the art features in the home studio include: a server room solely for his house; an underground LAN center with custom built machines matching his five “tricked out” cars; two walls of analog modular systems; and over a dozen synthesizers, with the most retro of his models now worth upwards of tens of thousands of dollars (among these classic synthesizers, which were built in the 1970s using components that aren’t available today, is the still working model used to create R2D2’s sounds in the classic Star Wars series). Watch the full video below and producers, be careful not to drool!